Its been quite a while since my last blog post and I am going to attempt to be better at sharing new photos on here this year. I thought that I would get the year started off with a classic view of the Cleveland skyline. 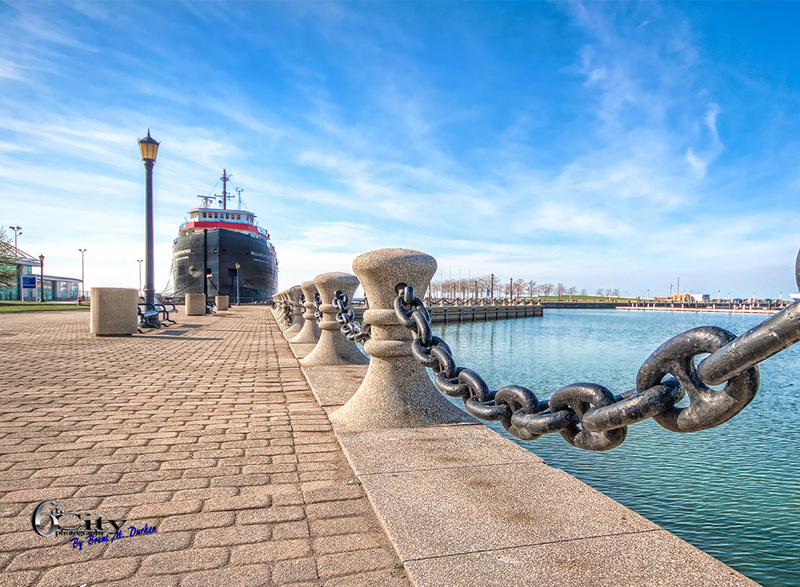 This Cleveland skyline photo was taken from Heritage Park near the Center St. swing bridge in the Cleveland Flats. 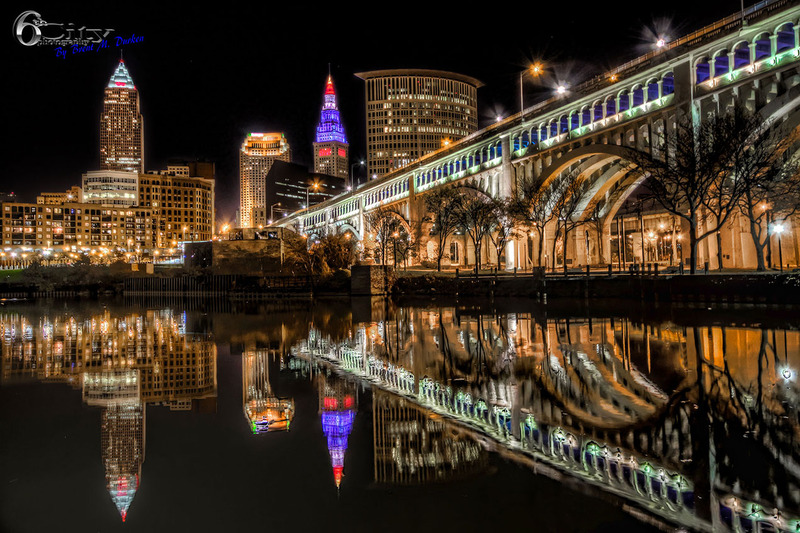 Its a very popular location for photographing the Cleveland skyline because of the great view of the Terminal Tower, Key Bank Building and 200 Public Square (Huntington Bank). Another reason this location is so popular is the great reflections of the city and Veterans Memorial bridge.